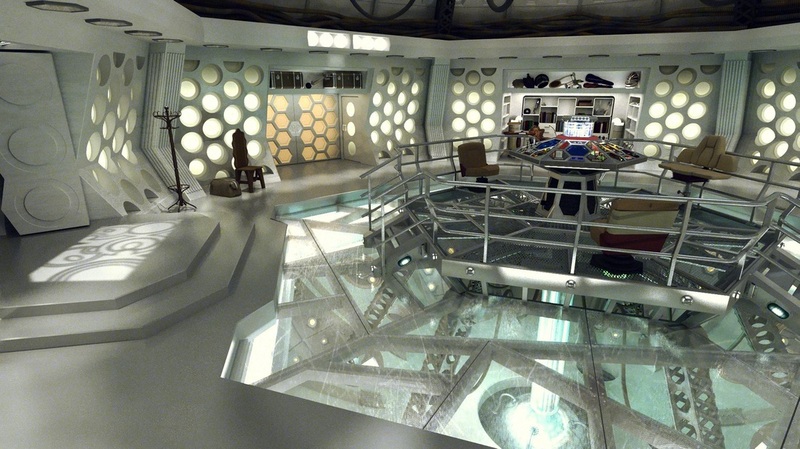 The Doctor's TARDIS has changed several times throughout his eight incarnations, both interior and exterior. On this page, I will take you through the design of each Doctor's TARDIS before revealing the full pictures - with a few details missing unfortunately - the Eighth Doctor's TARDIS for Doctor Who: Execution. 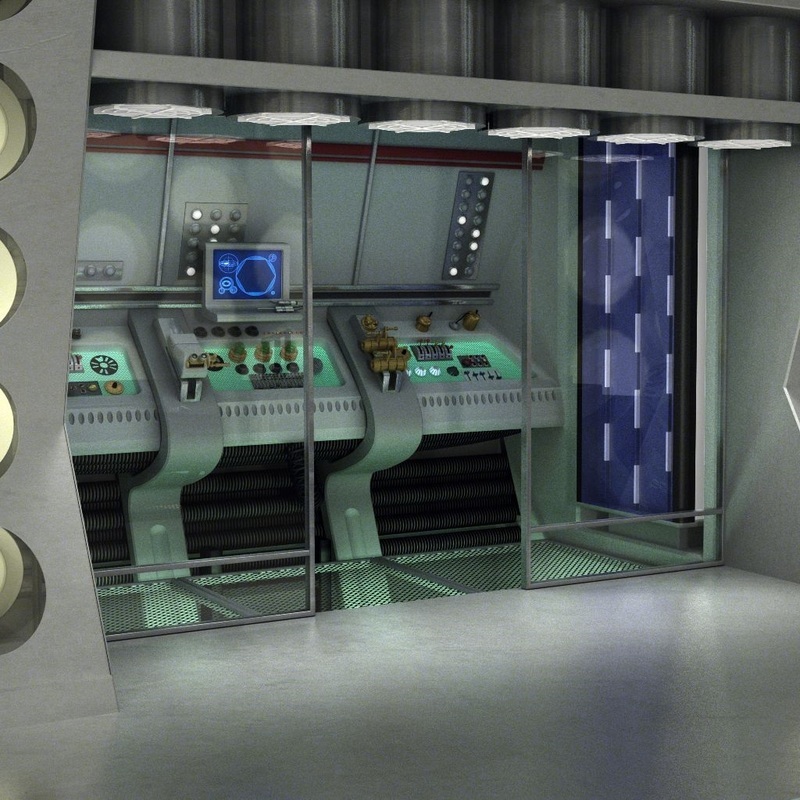 The First Doctor's TARDIS was very simplistic in that it had just the console itself and few objects inside. Now, obviously there was much more than this further on but, concentrating on the console room, I loved the fact that there was plenty of space and it didn't seem cluttered. The white roundels are effective in this version of the TARDIS interior as it makes it feel like there's space for thousands - which was exactly how it should feel. This simple decoration of the TARDIS would be a running theme through the next several incarnations. The Second Doctor's TARDIS carried on the theme from the Hartnell area - the feeling that you could fit thousands of people in the TARDIS and still have room for more. Not a great deal changed with the design - except the TARDIS was beginning to become a little more limited with space. The Fifth Doctor gained a new interior just in time for the show's big 2-0! As in The Three Doctors, the Doctor spruced up the TARDIS before inviting in his previous selves and their companions as they worked together to play 'The Game of Rassilon' in The Five Doctors. This interior remained until the series was cancelled in 1989. With the Sixth Doctor's TARDIS, we were given a special little treat. Something we hadn't seen before.... Storage Compartments! 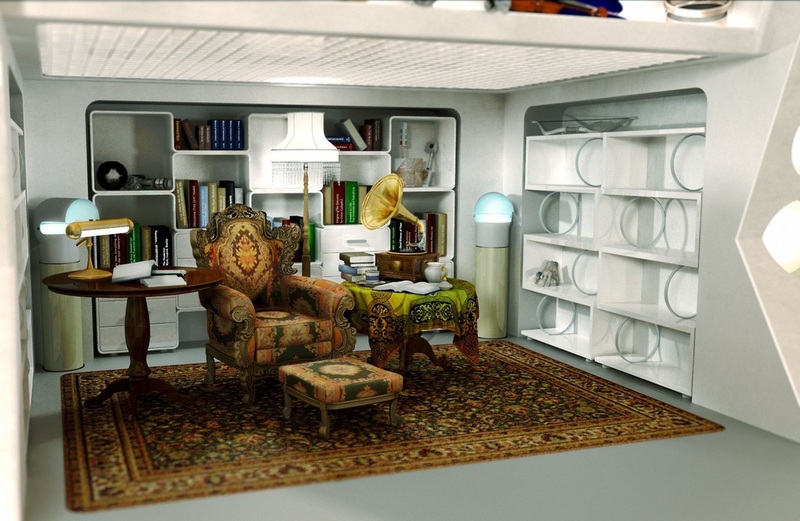 Now come on, I know it's a TARDIS and he'll have plenty of space but, who doesn't love a few cubby holes. It also gave a fantastic purpose for the white roundels we'd become so fond of, except for aesthetics. Well, not much to say really... I said it all with the Fifth and Sixth Doctors... Still, what a fantastic design! Below is a remake of that famously wonderful architecture. Finally, we come to the Eighth Doctor. Now, before I reveal the pictures for the new TARDIS, let's take a look back at what is, by far, my favourite TARDIS design of them all - the movie TARDIS! WHAT..... A....... BEAUTY!!! Magnificent, isn't it? 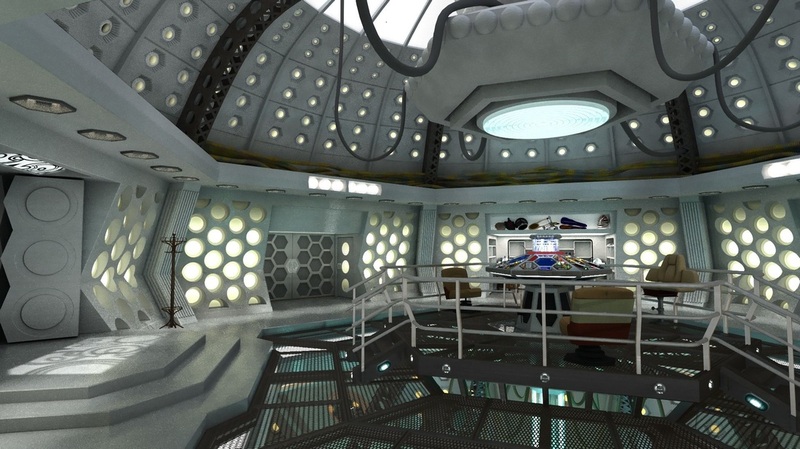 My favourite TARDIS interior by FAR. 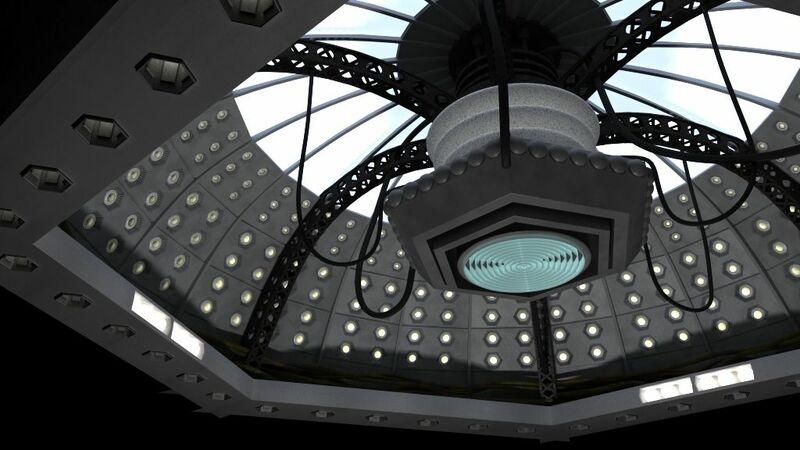 Anyway, I'm now going to give you the pictures for the Eighth Doctor's TARDIS in Doctor Who: Execution and try to explain what's happening in each of them and help you to picture my vision for the TARDIS. Now, before I show you them, I must stress these are not MY designs. I actually found them on Google and just fell in love with them. It brings the best of all the TARDIS designs together into one fantastic package. 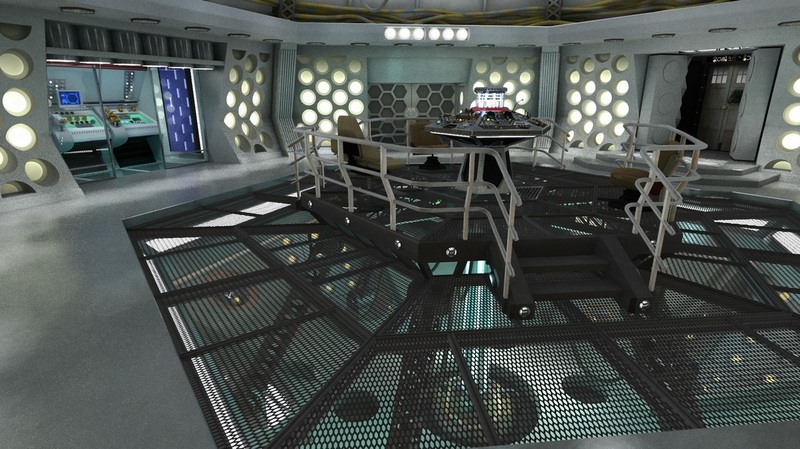 When you first enter the TARDIS, you'll find the simplistic and spacious design of the original console room with only the centre console (remember, this will be replaced by an update of the Eighth Doctor's console) and a seating area (nice touch, eh?). This will remain with the Eighth Doctor console's frame and a hat stand (well, it is a TARDIS). They're back! I always loved the double doors of the Classic Series as it was just that last barricade to prevent anyone from getting in (high security or what?). This is the Doctor's fault locator. It tracks and alerts The Doctor to any suspicious activity in the Universe. The Doctor's new TARDIS at full glance. Still Not Quiet Enough? Take A Trip To The Library. Had Enough Of Books and Fancy Something A Little More Hands On? Why not, take a trip to the TARDIS laboratory and help the Doctor find a cure for some the deadliest diseases in the universe? 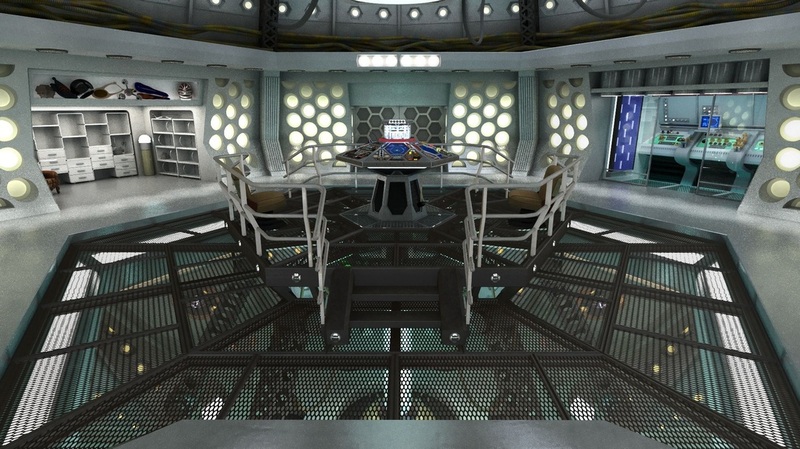 The panels of the console shown below allow the Doctor to choose where and when he wants to go, if it'll let him that is. These two panels below detect any harmful defects such as high radiation levels, acidic fluids and bad bacterium. They also operate a full safety check to warn the Doctor of any dangers and a systems report on the TARDIS. They also include the TARDIS' defence mechanisms. These panels help the Doctor to communicate with the world outside the TARDIS. They also operate the scanner, which pulls down from the main frame of the console on a Z-spring.